Keep your pet's teeth tarter free with the Stainless Steel Pet Tarter Remover/Scraper Feeding dry food, providing crunchy treats and allowing the regular supervised chewing of American Beefhide Chew Treats will allow the passive cleaning of your dog's teeth. Actively brushing and using oral gels on your dog's teeth will keep your best friend's dental health in check. 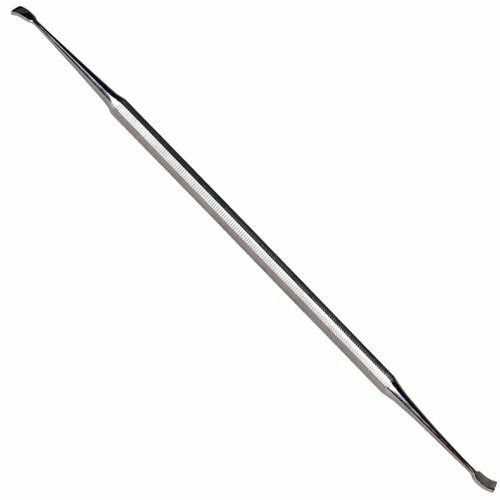 Removal stubborn build up of tarter with this tooth scaler which can save added veterinarian expenses. If your dog already shows signs of advanced gum disease; Red, Swollen or Bleeding Gums, Gum Erosion or Putrid Smell Emitting from his mouth, your dog should see a veterinarian immediately. 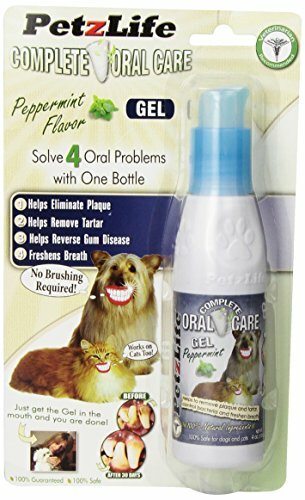 PetzLife's peppermint flavored gel removes plaque and tartar from your pet's teeth--no toothbrush required! Made with all-natural, holistic ingredients, Oral Care Gel safely removes plaque and tartar, reverses oral disease, promotes healthy gums, brightens teeth and kills the bacteria that causes bad breath. When applied in your pet's mouth, the ingredients mix with your pet's saliva and completely coat their teeth and mouth. This process kills harmful bacteria and loosens plaque and tarter. For the more stubborn build up, carefully use the enclosed stainless steel scaper. Safe for both cats and dogs of all breeds. Made in the USA.